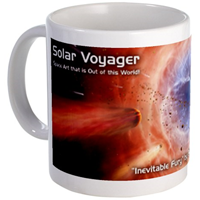 Solar Voyager: Announcing the Solar Voyager Store! Fantastic! thanks for setting this up Tom!! .... and everybody else, let's get some more art up there too! Sweet! Kind of like Regulus said, time to make art ASAP! Great idea. It supports both, the artist and the community. I wish you a lot of sellings. Like I said to Regulus earlier, I was thinking about how much the server must cost to run, and that YOU have done this all alone for so long! I was gonna contact you to see if I can help you with the server costs, and now this turned up! If there is anything I can do to support you, please let me know. 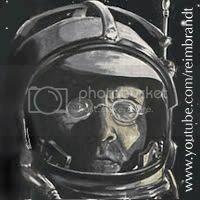 I'd be happy to let you use some of my artwork, for your profit, or if I can donate money to SV. I already see something I like in the store..
Out of curiosity, Tom, how much does the server cost you? Just re-checked -- latest was $31 per month. It has fluctuated in the past but has leveled off around $31 recently. I don't expect the store to do that much business, but admittedly a big part of this to me is having some of this cool art on a mug on my desk and a calendar, which I have been dreaming about for some time. It would also get some additional attention for our talented artists -- I'm hoping that it could get them commercial work from someone who sees the art on one of the products. The deal I'm making with our artists is that if any of their pieces of artwork brings in over $30 a month, I'll give them the excess amount, either via PayPal or a check. And if for some reason we make a lot more than I expect, that $30 could drop to a lower threshold -- This isn't planned as a profit thing, but just to help offset the cost of running the site. Excellent! I really look forward to seeing a calendar soon! That would be fantastic. "Revenge is for children and the emotionally retarded." YES!!!!!!!!! This is awesome news!!! yup calendar will be great but i like to see more of this mugs in store. why limit it only for header images? 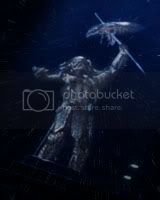 why not add more from forum?